Product prices and availability are accurate as of 2019-04-14 15:42:24 EDT and are subject to change. Any price and availability information displayed on http://www.amazon.com/ at the time of purchase will apply to the purchase of this product. 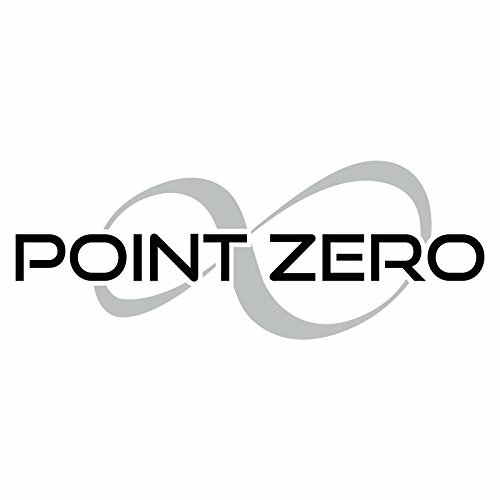 The PointZero Airbrush oil-less compressor offers professional-grade, high performance and lasting, maintenance-free durability. Tankless design delivers 1/5 HP and approximately 1.0 CFM with cool, ultra-quiet operation (55 dB). 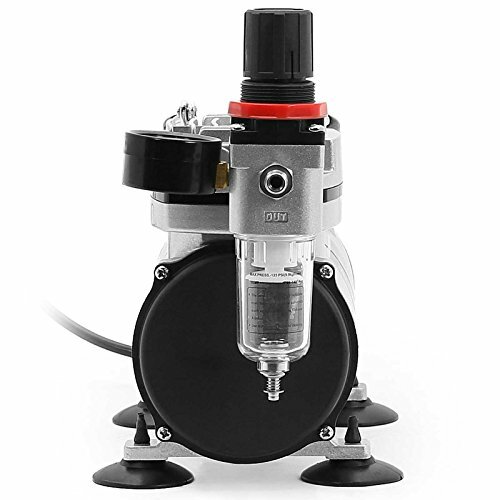 This compressor is ideal for serious professionals, and avid hobbyists, as it runs much longer without overheating due to built-in automatic on/off cycles. 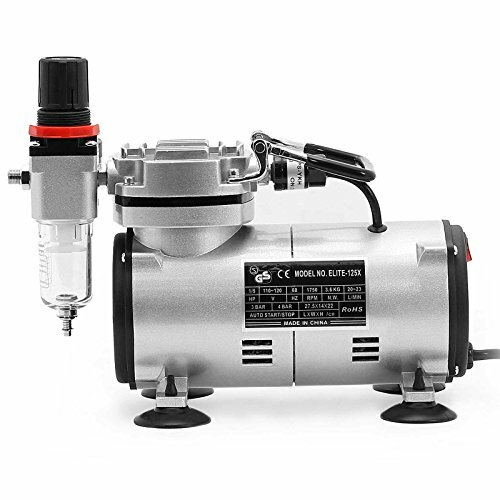 This heavy-duty airbrush compressor is virtually maintenance-free, CE certified and thermally-protected, automatically turning off if the unit becomes over-heated. For added convenience, this lightweight and compact 8-pound compressor features an easy-carry handle and rubber feet to protect your work surface. Connections: 1/8" BSP male outlet. Dimensions: 10" (long) x 4" (wide) x 7" (tall). Power Cord: Grounded US-Standard 110-120 volt 6' power cord. Model: Elite-125x from PointZero Airbrush. 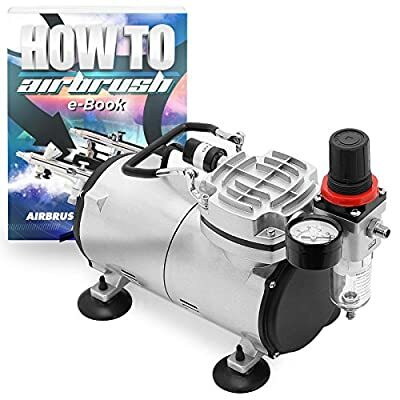 Bonus: comes with access to a set of 7 exclusive e-book guides, including Top 8 Cake Airbrushing Tips, Guide to Airbrush Cake Decorating, Developing Basic Artistic Skills, 10 Essential Airbrushing Tips, Airbrushing Strokes and Techniques, Airbrush Cleaning Manual, and the Airbrush Lettering Guide.